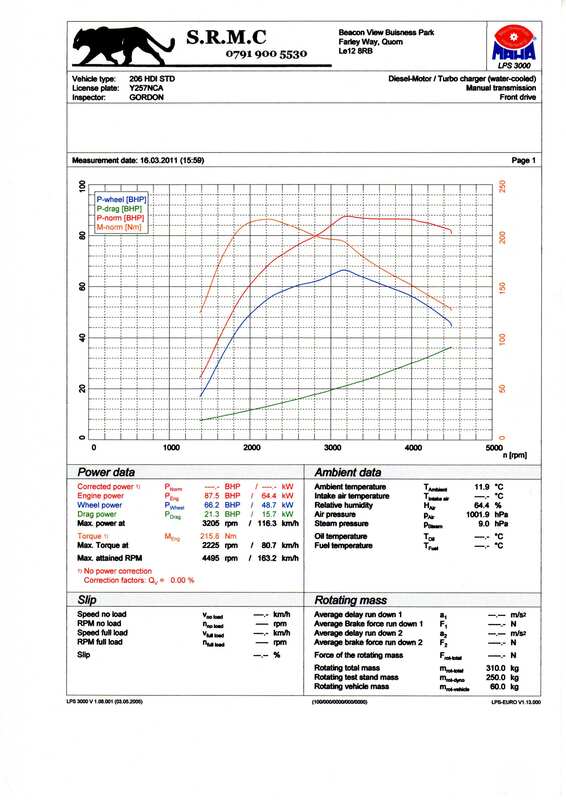 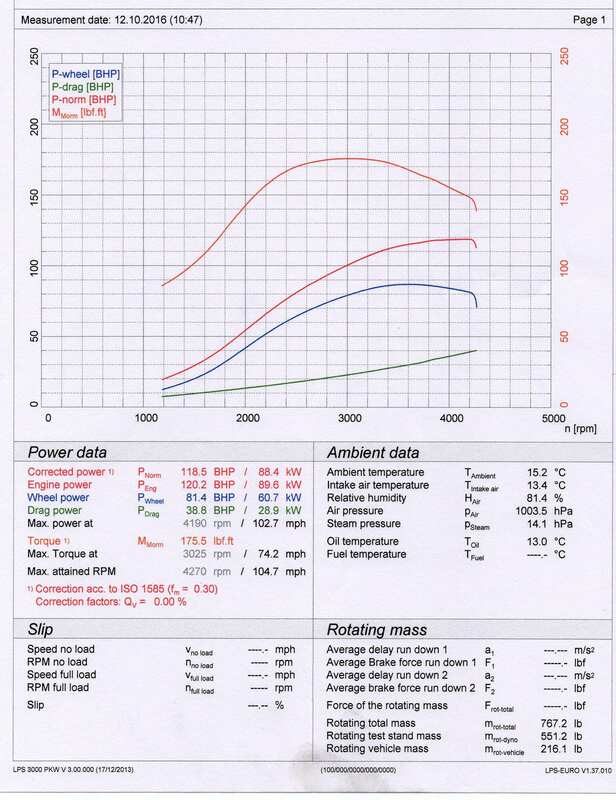 This page hosts a collection of rolling road dynamometer print-outs to show the results of previous projects and also from our customer's vehicles. 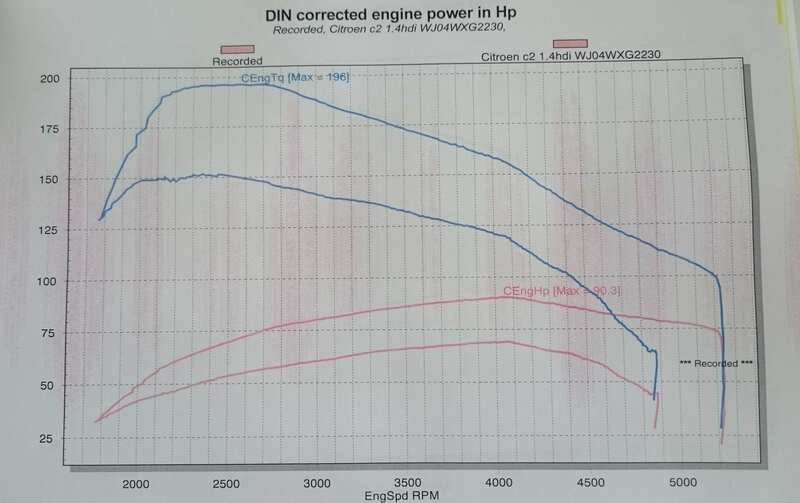 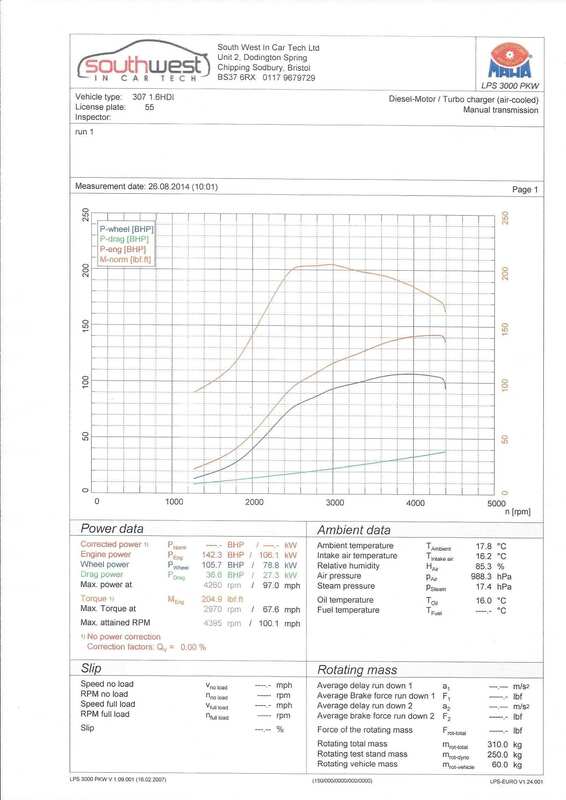 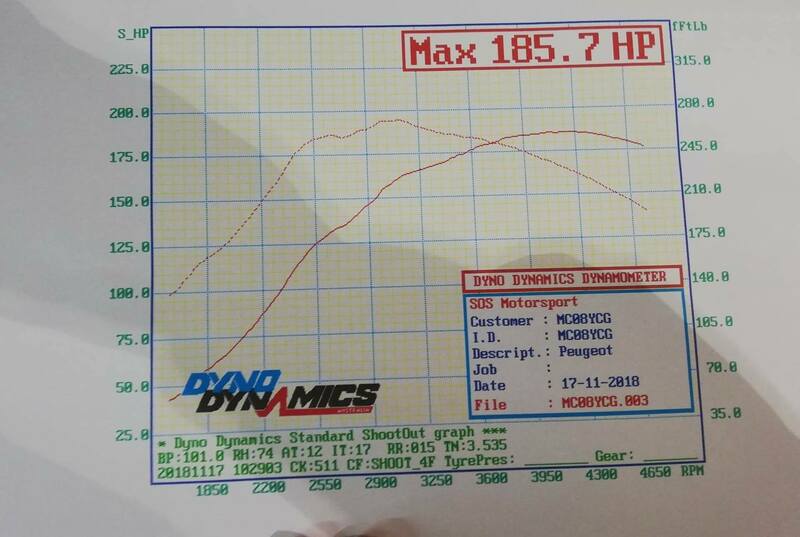 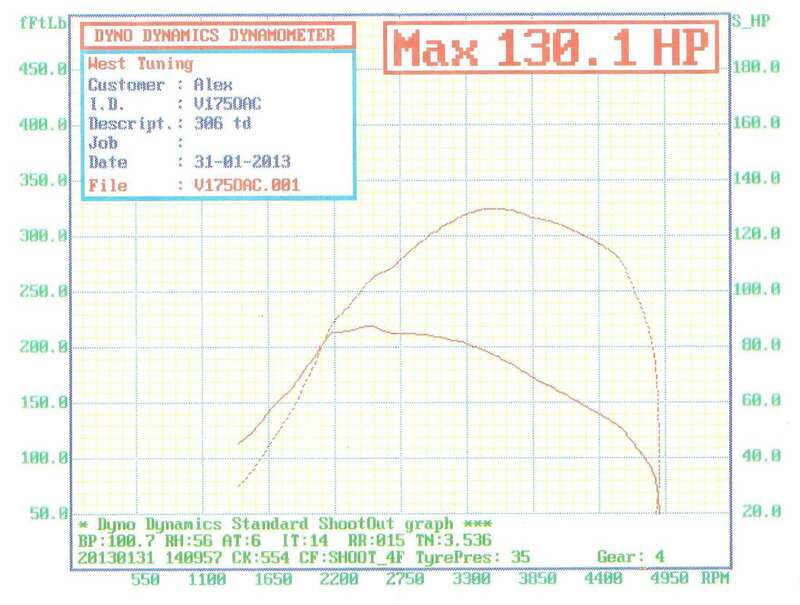 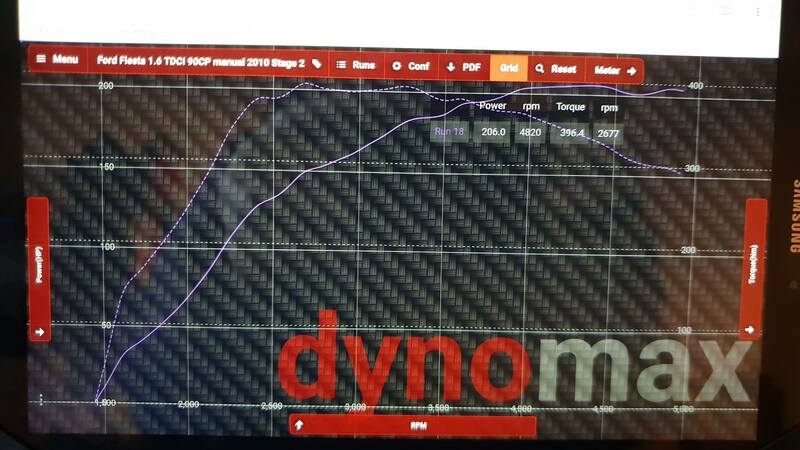 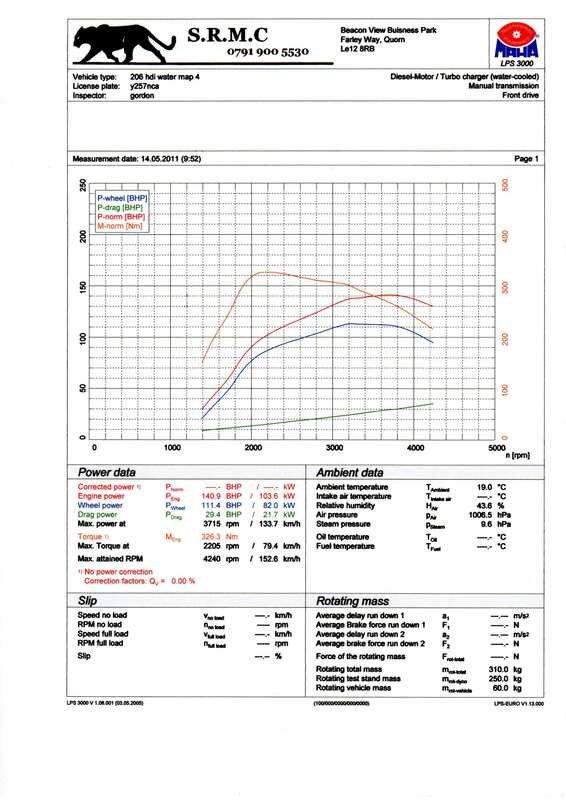 A dyno print out typically consists of a torque curve and a horsepower curve. 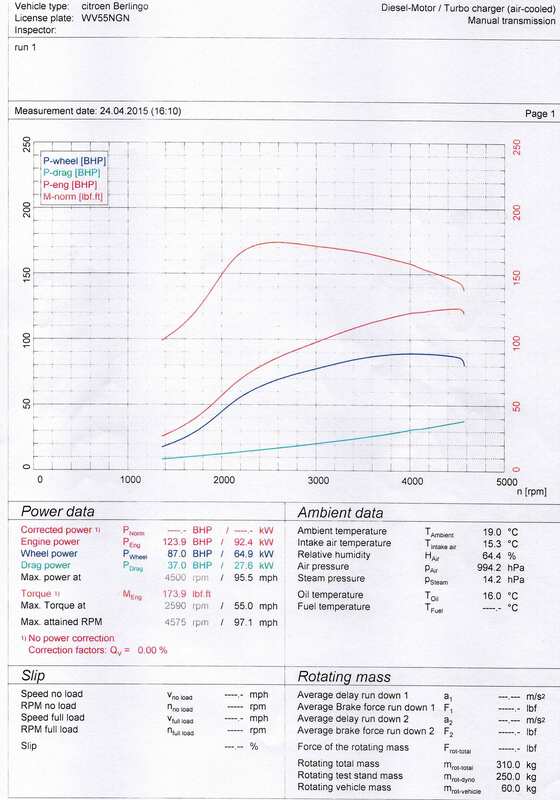 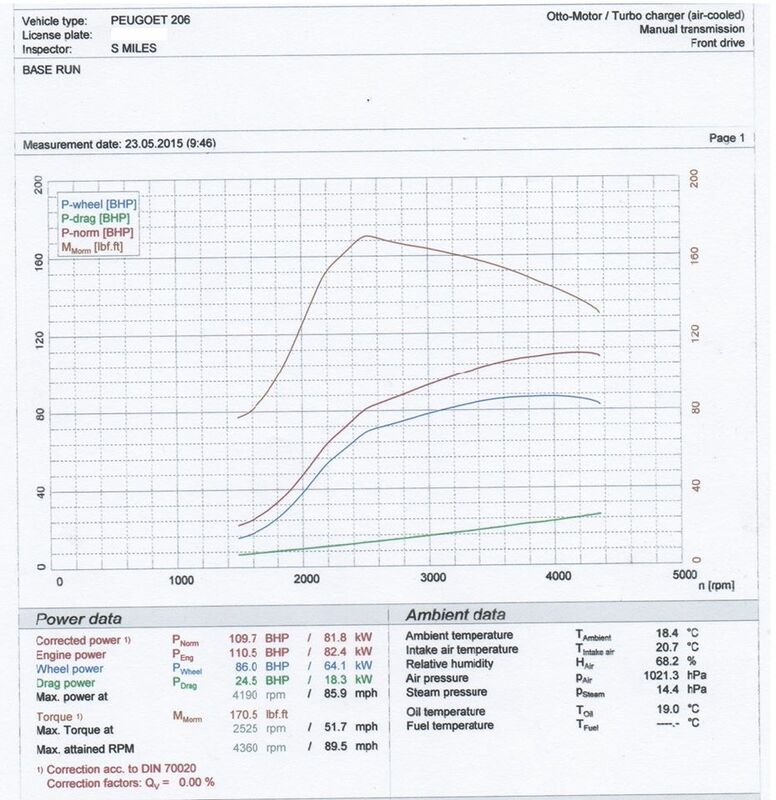 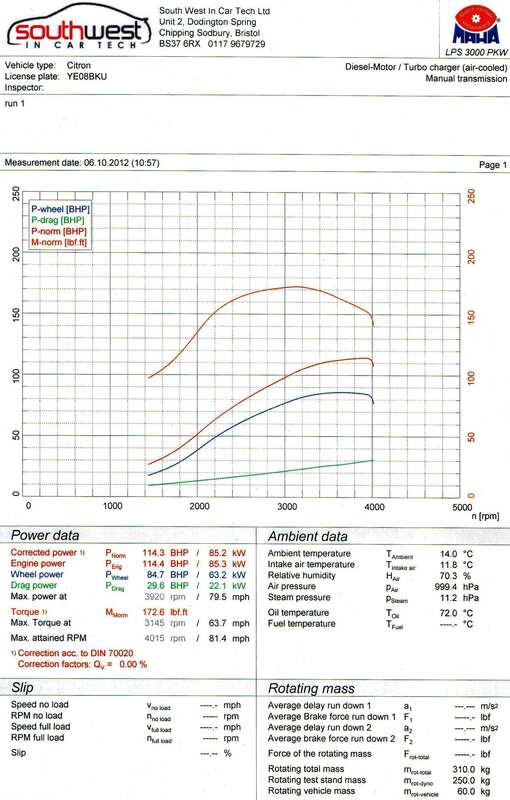 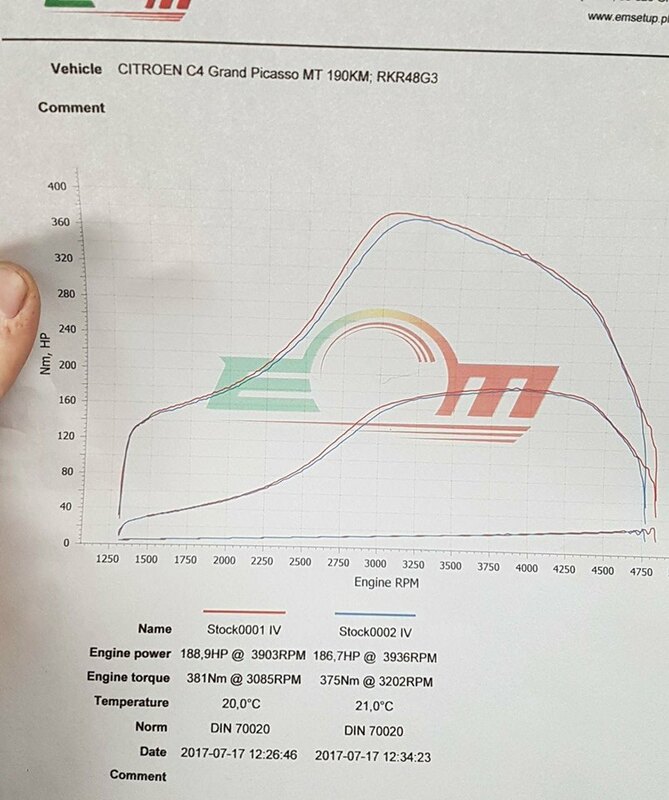 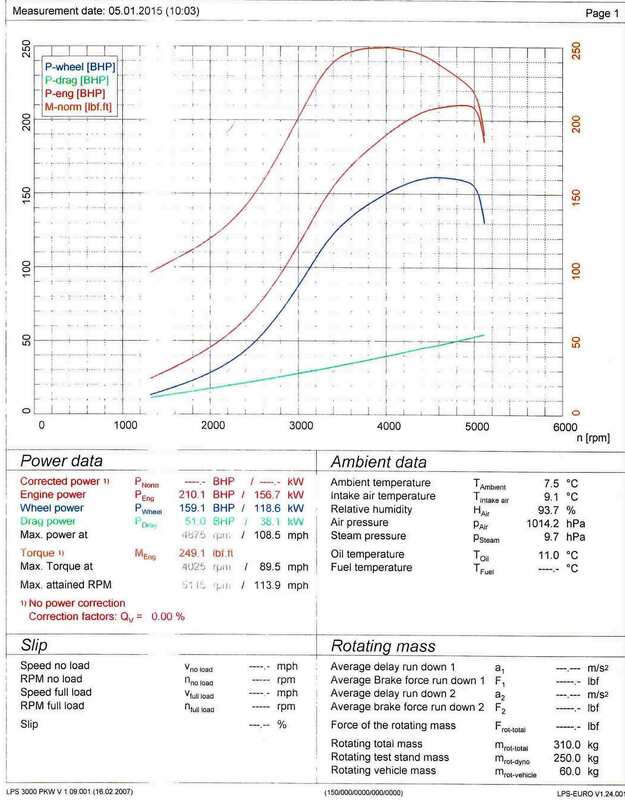 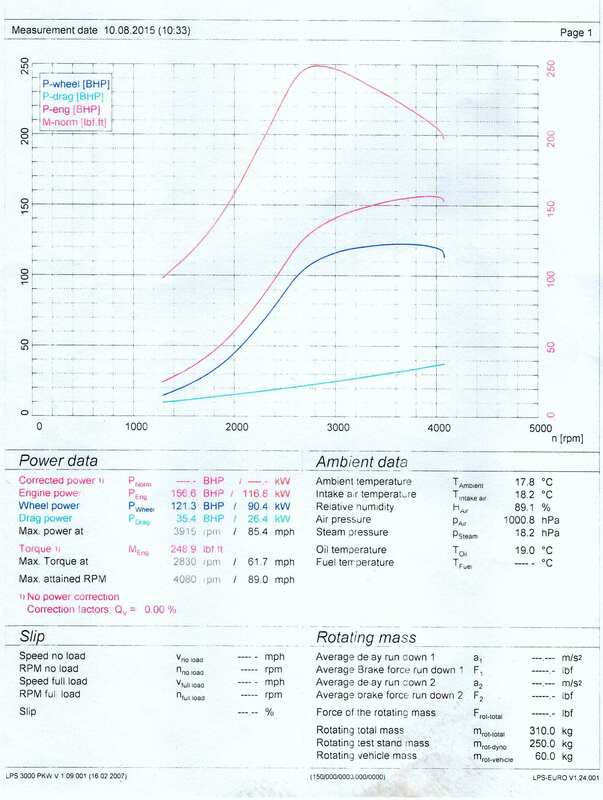 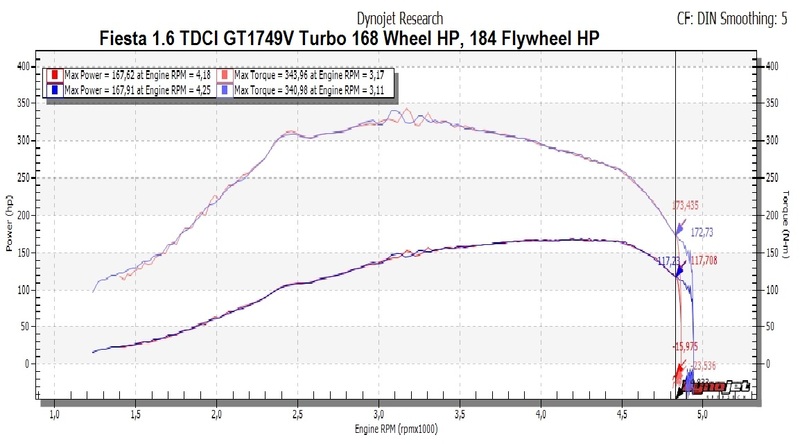 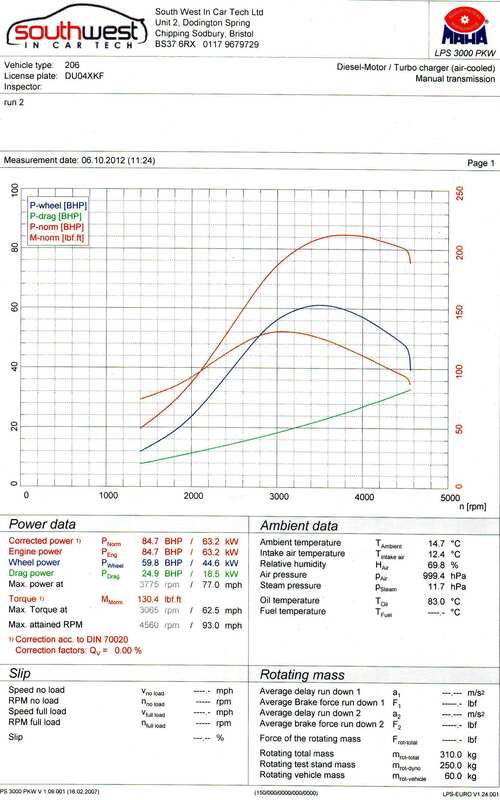 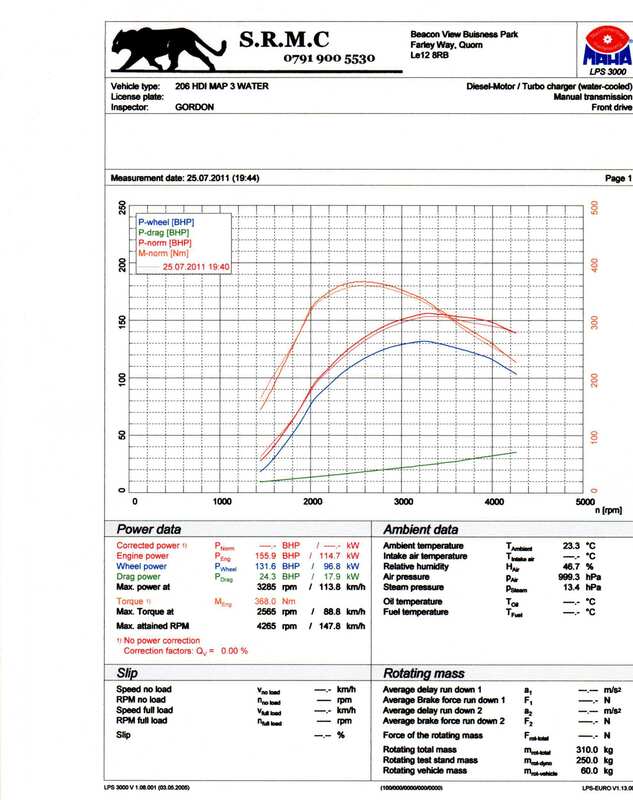 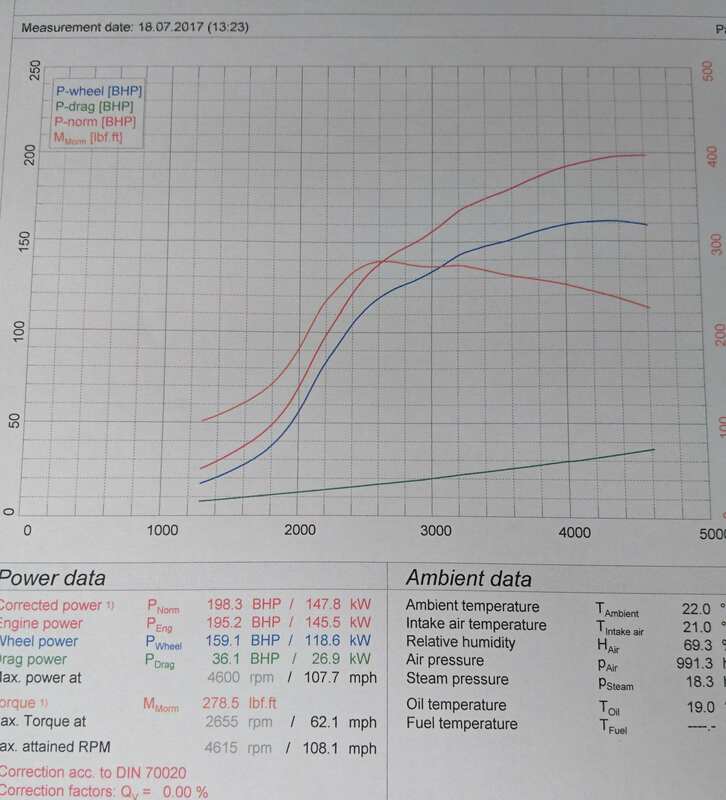 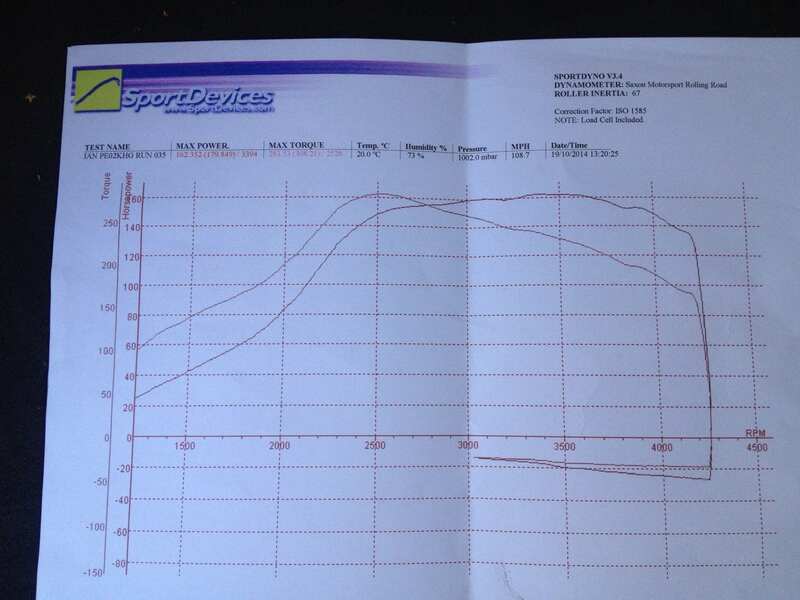 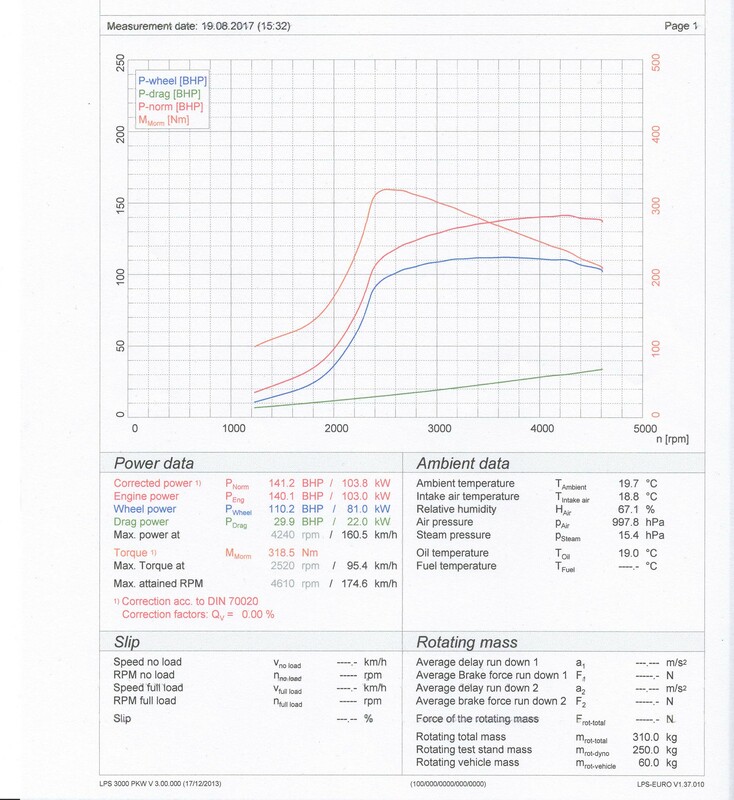 The torque curve is calculated through the horsepower measured at the wheels on the dyno. 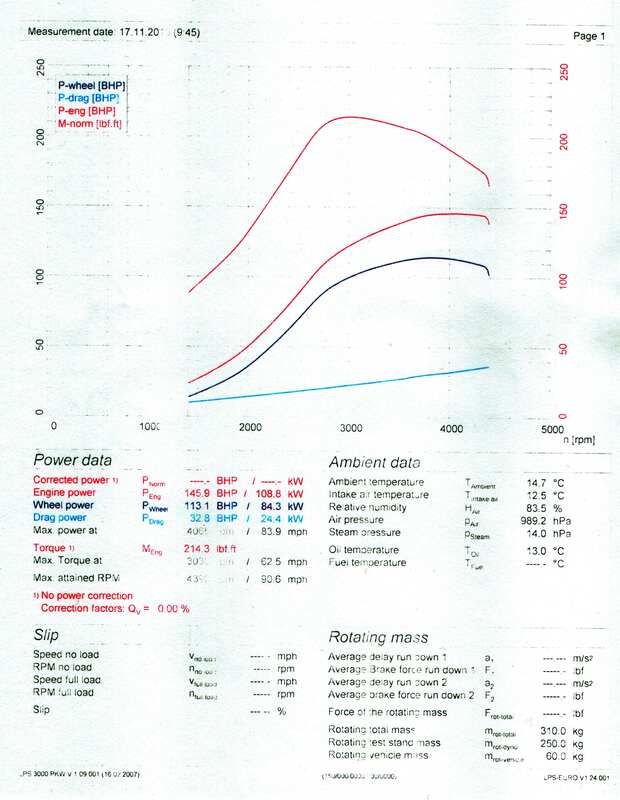 Torque can be displayed in either lbf.ft or Nm, it's important to note the difference between the two as 1lbf.ft equates to 1.356 Nm. 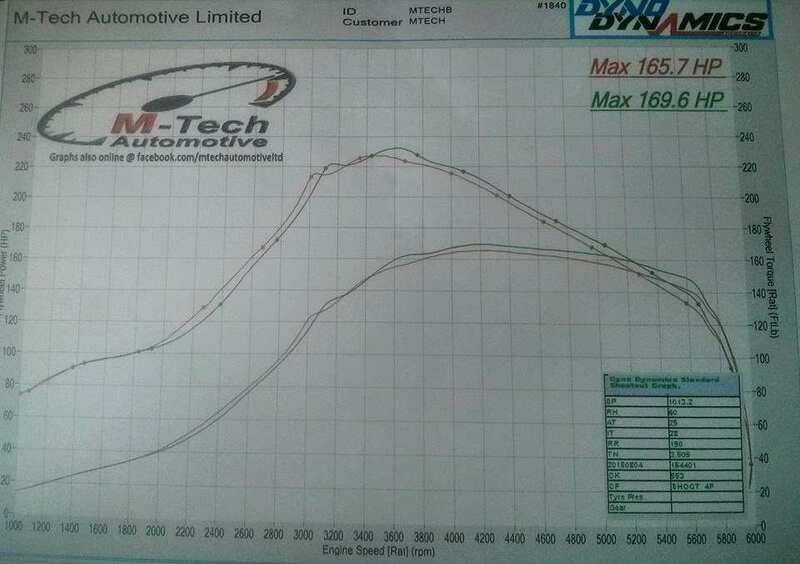 Or one Nm is 0.73756 lbf.ft. 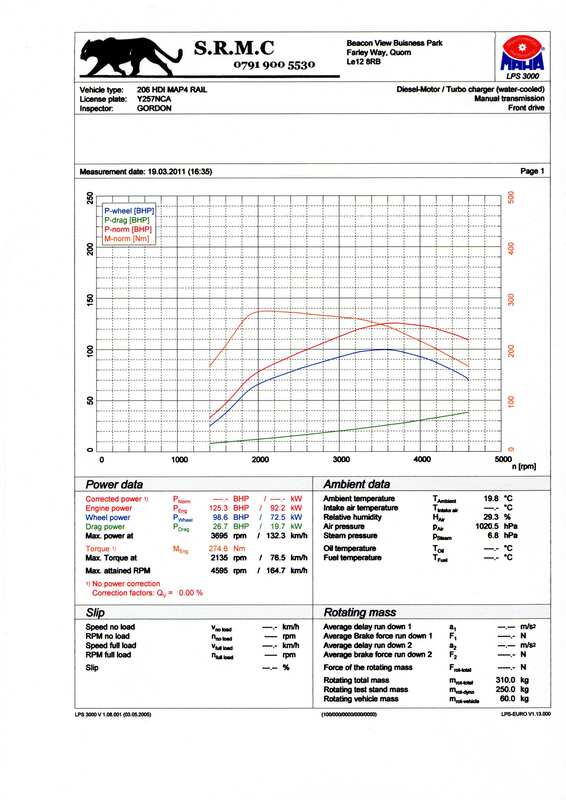 At HDI Tuning Ltd we tend to quote figures in Newton Meters as we grew up in the age of the metric system, the figures make much more sense to us. 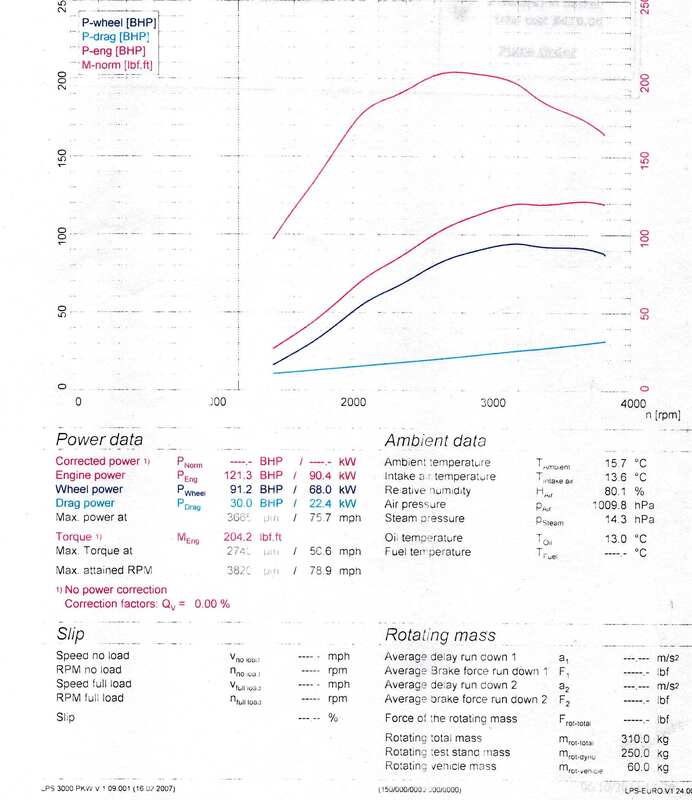 You will also see both 'power at the wheels' and 'power at the flywheel'. 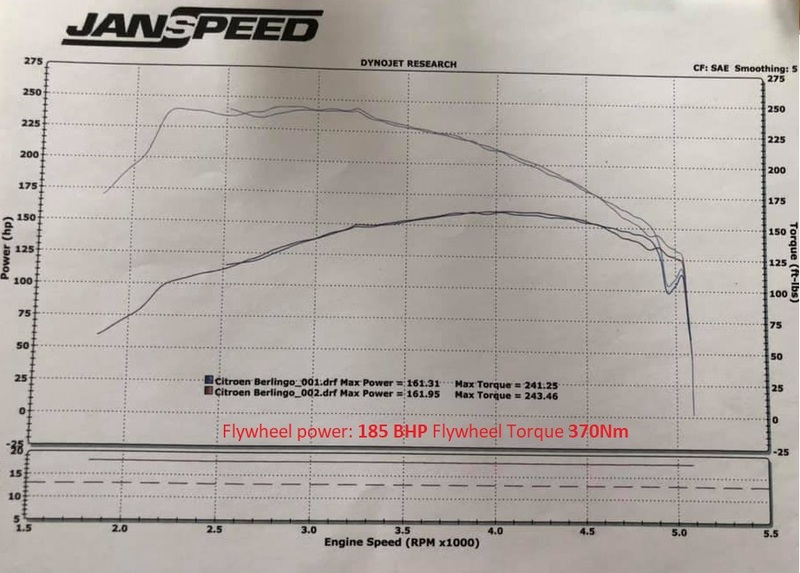 We always quote flywheel figures as this is how car manufacturers quote power figures, there will typically be losses through the drive train of 20-30 BHP. 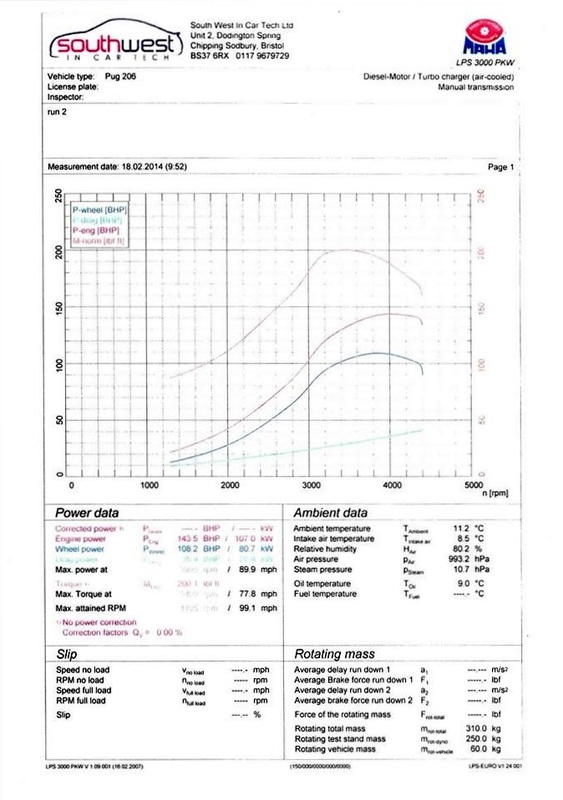 The best dynamometers measure the drag to equate a precise flywheel figure (MAHA), others use a standard correction factor that can sometimes show figures which are slightly off.